If you are searching for a talented cosmetic and general dentist in Glendale who offers great care and service at an affordable price, you will find just what you are looking for at Smile Makeover of LA. We take joy in assisting our patients to achieve that perfect smile they've always dreamed about. Call today and we will gladly answer any question that you may have about any of our treatments. We offer dental care for all ages. 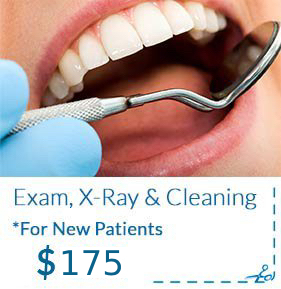 Our priority is to give you and your loved ones a professional dental treatment that will improve their lives. Our goal is your satisfaction. Our team can help find you the perfect treatment. We’re waiting to provide you with a better quality dental care solution. 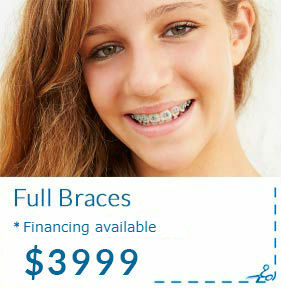 Smile Makeover or LA has the skills and knowledge that you're looking for. Our specialists have been trained to provide the best care for every member of the family. When you're looking for a great dentist who can care for the whole family, look no further! Smile Makeover of LA is here. You can schedule an appointment Online at our ZocDoc page. Click on the ZocDoc logo or click here and a new tab will open up. On the ZocDoc page, you will see our location and the available hours for scheduling. You can always give us a call 1-818-578-2324 or refer back to our website if you have any questions. The dentists at Smile Makeover of LA want to provide patients with treatments designed to meet their individual needs. 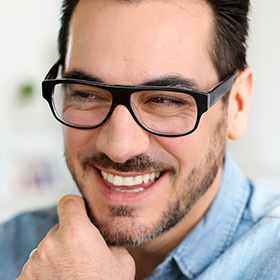 Cosmetic dentistry and the results it provides helps patients develop a new sense of self-confidence and self-esteem. Dr. Gurgen (George) and Astghik (Stella) Sahakyan apply their joint experience to deliver the highest quality treatment options. *Offers are subject to availability and conditions may apply. This dentist Glendale location provides the most advanced treatment techniques and advice to patients regarding preventative care. 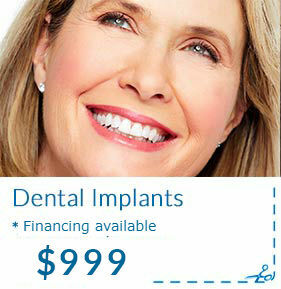 Your dental concerns are at the top of our agenda. A cosmetic dental experience that will artistically change your smile. Experience the very best in dental care from a committed team. Our office has been designed from the ground floor to provide patients with world-class cosmetic and general dental care for patients of all ages. The dentists have built a reputation for being dedicated to delivering exceptional patient visits. I can't begin to comment how much I really love this office, I wish there were 10 stars! I have been going here for many years and my whole family comes here...even my 6 year old for his cleanings. Dr. Sahakyan really cares and always makes sure that you are satisfied with any work that is done. I currently have Invisalign and I can't recommend it enough!! I finally smile showing all my teeth! I used to avoid photos or hide my smile...not anymore. 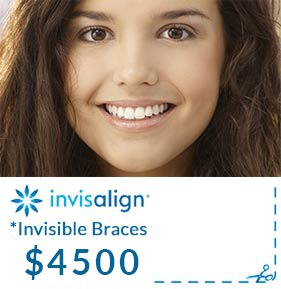 If you are considering Invisalign, definitely check out Smile Makeover of LA. The office staff couldn't be sweeter...Mildred and Rita are the best! Thank you for my healthy teeth and beautiful smile! I waited till all of my dental work was completed before giving my feedback. I’m sitting here with my new smile to say that my experience here was the best I can ask for. I actually feel comfortable seeing them and getting the work done. The doctors were gentle and completed the root canal without any problems. I’m not changing dentist anytime soon! I was looking for a local dentist and found Smile Makeover on Yelp. They booked me for a teeth cleaning and x-ray. For the first time, I felt like I was receiving actual professional care from a great dentist. They explained what they were doing in detail and were flexible with the insurance policy. Their professionalism and outstanding demeanor stood out and I knew I was going to stick with this dentist. During a recent appointment, I had a filling and two crowns. Everything went smoothly and the doctors were flawless. Crown replacements are difficult, but they made it a comfortable and easy experience. I certainly trust them to take care of my smile. Smile Makeover of LA is rated 5 out of 5 based on 46 reviews from Yelp. From the time you arrive for your appointment and enter our pleasant waiting room, you will experience a calm and comforting environment. Our professional staff is there to greet you and make sure that you receive the attention you deserve. All staff members are dedicated to providing professional and courteous service designed to meet your unique needs. We provide a high-quality level of dentistry in its most pleasant and painless form. A more gentle experience awaits you here. Have your dental caries filled with porcelain or high noble gold restorations, they are durable and match your natural teeth appearance. Zirconia crowns look like natural teeth but help you perform the same effective functions you previously enjoyed. Our dental team and specialists will work with you in implementing the most genuine and personalized dental care plan for your child. Our dental specialists are there to help you with every step in taking care of your teeth and maintaining the finest looking smile.